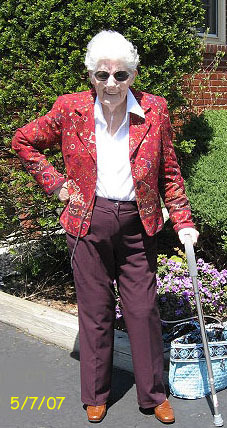 Simpson, Mary M. ALBANY Mary (Mulligan) Simpson, 84, of Albany and Boynton Beach, Fla., died Saturday, May 10, 2008 at St. Peter’s Nursing and Rehabilitation Center. Born in Staten Island, N.Y., she was the daughter of the late John W. and Mary (Emmott) Mulligan. She attended the College of St. Rose and was a graduate of Empire State College. She retired from the NYS Department of Labor. Mrs. Simpson was a communicant and one of the founding members of St. Catherine of Siena Church. She devoted her life to her family and friends and was a lifelong Yankees fan. Wife of the late Robert J. Simpson Sr. and Wallace Culver; mother of Joanne S. (Ed) Cedilotte of Glenmont, Robert J. (Donna) Simpson Jr. of Knox, N.Y., Mary R. (Thomas) Smith of Albany, Jack (Joanne) Simpson of Burnt Hills, N.Y. and William (Jennifer) Simpson of Rensselaer, N.Y.; grandmother of Christine Cedilotte, Rik, Jordan, and Zachary Simpson, Thomas A. Smith, Brian and Katie Simpson; great-grandmother of Abigail Simpson; sister of Irene O’Toole Jamieson of New Hartford, N.Y. and Madonna Rowland of Latham, N.Y.; also survived by special friends Pam Carrier and Chris Converse, and many nieces and nephews. She was predeceased by great-granddaughter, Nova Simpson. Funeral services will be held Wednesday at 10:45 a.m. from the Daniel Keenan Funeral Home, 490 Delaware Ave. then at 11:30 a.m. at St. Catherine of Siena Church, where a Mass of Christian Burial will be celebrated. Relatives and friends are invited and may also call at the funeral home Tuesday from 5-8 p.m.
Entombment will follow the Mass in the mausoleum of St. Agnes Cemetery, Menands. In lieu of flowers, memorial contributions may be made to a charity of your choice. The most important thing I can say about our Mother is that the five of us really lucked out because we got the best mother ever. She was an amazing mother. Throughout our lives she taught us a lot of lessons along the way. She taught us to love our God. When our parents were buying their first home one of the major requirements was, that it be close to a Catholic school and church – we grew up two blocks from St. Catherine’s. She taught us that family was important and that the friendship between our siblings was essential. 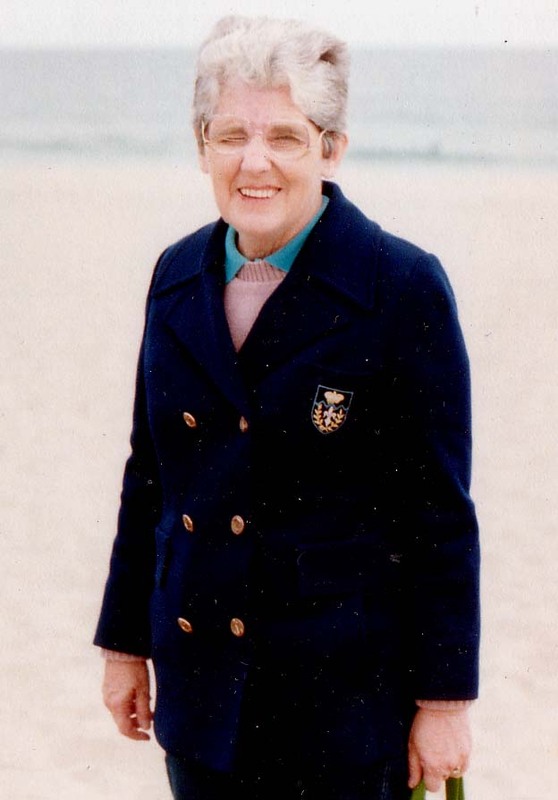 She loved her two sisters, Irene and Donna, her nieces and nephews and grand children. She taught us that education was one of the keys to success. In fact, one of our nick names for our Mother was Mrs. Education. Our parents put us through Catholic grade schools, Catholic high schools and paid for all of our college tuition. Our parents always put our needs ahead of their own. She taught us how to have celebrate life. Every year we spent 2 weeks on Cape Cod or at Misquamicut, Rhode Island. Our home was a happy home. We are not a perfect family but we are a loving family. She taught us to respect our elders and to help others.She taught us right from wrong. She was a very giving mother. She helped us whenever we were in need and many times without our ever asking. She was a forgiving mother. Needless to say we all gave her several gray hairs. She was a mother who knew what was going on every minute. She had to be in the know. She didn’t want to be left out of anything. Who was on the phone and what did they want. She used to tell us she had eyes in the back of her head. She kept very current. And had a great mind till the very end. I had no idea what 420 meant but our mother did. She taught us how to be strong and survive. Our mother lost two husbands, and had about 10 operations over the years. She was a true survivor. She gave invaluable advice. When things went wrong one of her famous lines was “You didn’t listen”. And she was very stylish, had a passion for fine clothing and always dressed so nicely. She loved to shop. And she loved her sweets. Her two favorite things to eat and drink were Nestles chocolate bars and coca cola. In her later years she loved bananas, Pam’s banana bread, blueberry muffins and 3 Musketeers bars. They were all easy for her to eat. In addition, to being our Mother she was our best friend. She taught us that the Yankees were the best team ever and that Derek Jetter was the best shortstop. It is no coincidence that Jetter hit his first home run of the season the day our mother passed away. Somehow I think Mom had something to do with that. We all learned a lot from our mother. We tried to implement the lessons she had taught us over the years. Each of us in our own way did what we could to help her when she was in need in her last few years. At times it wasn’t easy. It is very difficult to watch your beloved mother go through such difficult times. She knew what she wanted and she wanted it now. In fact, Chris hung signs at 6 Hopewell Street that read “It’s all about Mary”. And in the end it was all about Mary. We couldn’t do enough for her and we couldn’t do it fast enough. You learn a lot about your family when a loved one is very ill. My siblings and I tried to take good care of our mother. Toward the end, Joanne was her rock. She depended on Joanne for everything. Joanne was the director. For the last few years, Joanne and Ed took care of her medical needs, her finances, and her everyday needs. It was Joanne she looked to for direction. And it was Joanne who did everything humanly possible to help our mother. One night last week at the Villa, I told Joanne to go home since she had been there all day; my Mom said “No, Joey stay.” Even though there were 2 of us that would be staying, she wanted Joey to stay. Joanne’s presence was a great comfort to her. She felt much more secure when Joanne was near. You couldn’t ask for a better daughter. Since Bob retired, he spent endless hours with our Mom. He drove down from Knox daily to be with her. She told me how fortunate she was to have him. She spent her last time in Florida with Bobby and he took excellent care of her. She told me that Bobby really knew how to take care of a sick person. He did things without her ever even asking – so many things to make her comfortable. And no one could make tea better than Bobby. It was Bobby who finished her last cup of tea Saturday morning after she passed. She enjoyed Jack’s humor. He always made her laugh. He did crazy things like throwing sticky animals on the ceiling of her hospital room. At the end I saw his serious side. I watched him guide her with her breathing. Breath through your nose and out through your mouth. Take it real slow Mom. It was so very difficult for her because she was a mouth breather. There were several nights Jack stayed late after working a full day and then he had a long drive home to Burnt Hills. And Bill, he was her baby and her favorite. She never admitted it but we all knew. It was Billy who got her a blanket and tucked her in when she laid on the couch and didn’t feel well years ago. He was there for her after our Dad passed away. He and Bobby brought her muffins from Dunkin Donuts daily. No one could make milkshakes quite like Billy. There was a very special bond between our Mom and her youngest child. And she loved Bailey. He always brightened up her day. My mother has three very dedicated sons and she was very proud of each one of them. And me I made the cookies and tweezed the dark hairs from her face. She loved us all and we will always love her. She led a simple, honest and clean life. She was a beautiful person who had the softest skin. She was a wonderful role model for us all and it comes as no surprise that the last word she uttered was Jesus. We know our Mom is in a better place where there is no pain, no oxygen issues, no need for ambesol, lip medex, cold water or Kleenex. We are going to miss you Mom and we all love you very much. Thank you for being our Mother and taking such wonderful care of us all. Today, we celebrate you. First: thanks to all of you who are here to honor our mom….. we appreciate you being here to help us celebrate our mother’s life. She was born March 30, 1924 on Staten Island at St. Vincents Hospital. Her mom was Mary Emmott Mulligan (our Nana) and her father was John William Mulligan (our grumpa). She had a happy childhood on Staten Island; she talked about the summers next to the ocean…. She had two sisters, Irene O’toole Jamieson of Utica and Florida and Madonna Rowland of Latham. The 3 Mulligan girls all did very well for themselves, they raised beautiful families….. And my mom was very proud of her sisters. She attended school in NYC, Delmar, and Albany. In 1941 she graduated from Vincentian Institute High School. She still has friends from VI after over 60 years. She then went to the College of St. Rose for 2 years. The war stopped that for awhile. She then raised the Simpson kids, had a career and went back to Empire College and got her degree. First of all she was smart. Up to the end she could beat me when we watched Jeopardy. She was a reader who liked good furniture, and good clothes. She also had very good taste and STYLE. She had excellent hearing ………………..and she was always listening. My father, Robert John Simpson Sr of Portadown, Northern Ireland, Manchester, Connecticut and the US Coast Guard. They had a war-time romance and they were a great team. We were lucky to have them as our parents. 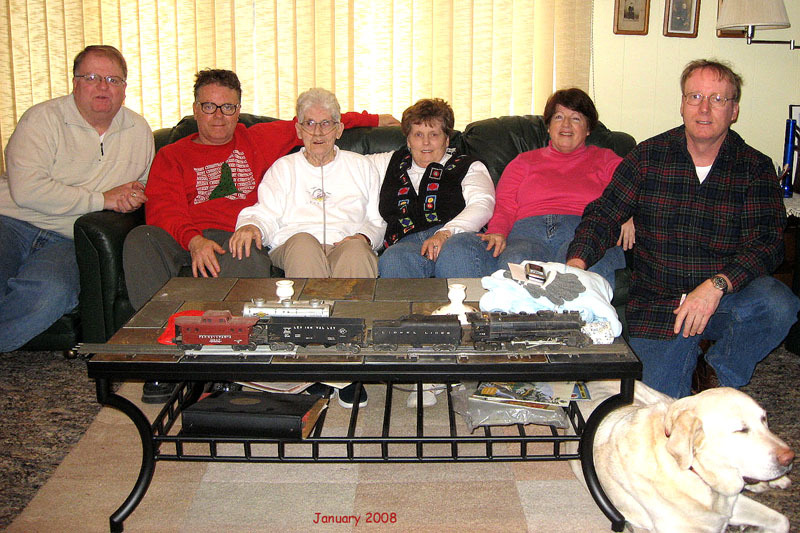 Our family at 6 Hopewell Street rocked… thanks Mom. The New York Yankees. She loved Derek Jetter. If she was not watching her team on her very big HDTV, she was listening to them on her radio. Every time I talked to her she had to remind me of the number of games they were ahead of Boston. She loved to needle me and Tom Smith about her team. Shopping…………. Central Ave…., the malls…. the outlet centers…. and lets not forget the Christmas Tree Shops. 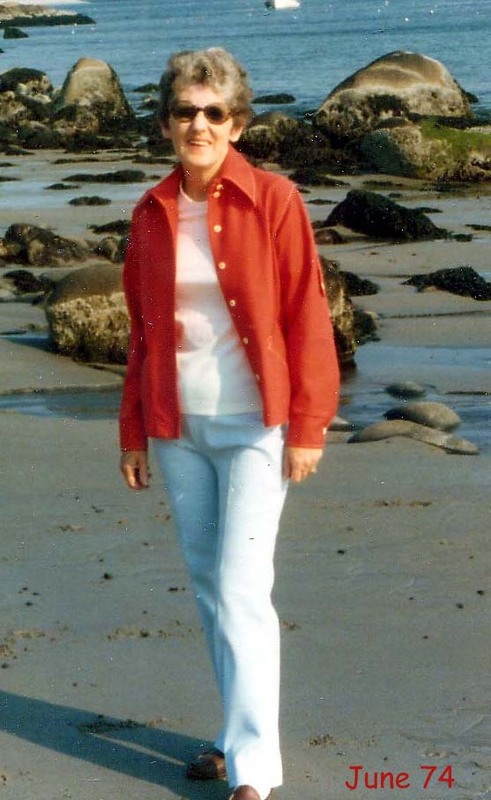 She made me take her to everyone on Cape Cod..
Food…..she loved her veal Parmesan at Lombardos, her shrimp, her fish, her chocolate bars. Public Service…… she was very proud that she worked for New York State. For many years she ran the Unemployment Office in Albany. Her work let her help people. She was willing to teach her workers how to do their jobs. She really cared. She loved her grandkids….Christine, Rik, Jordan, Zachary, Tom, Brian, and Kate. She even got to hold a great grandchild, Abigail Simpson who was born on mom’s 83rd birthday. I know she loved the 5 Simpson kids, Joanne, Robert, Jeannie, Jack and Bill. She was a great mom, although Jeannie is right……she loved Billy the most!!!!!!!! She was so proud of Jack, and his family. She told me to always protect my little sister Jeannie, and I will. About 30 years ago my mom and dad found something new. The state of Florida. They always told us that we should not move away from them. Not one of us did, however they moved away from us to the warmth of Florida. Warm winters were good for Mary Simpson. She stayed healthy down there and kept busy and made many new friends. She always kept track of Albany’s weather and had to call us to let us know how high the temperature was down there… I loved taking care of mom in Florida over the past 4 years…..
After my dad was gone, mom found Wally Culver and had a very happy 10 years with him. 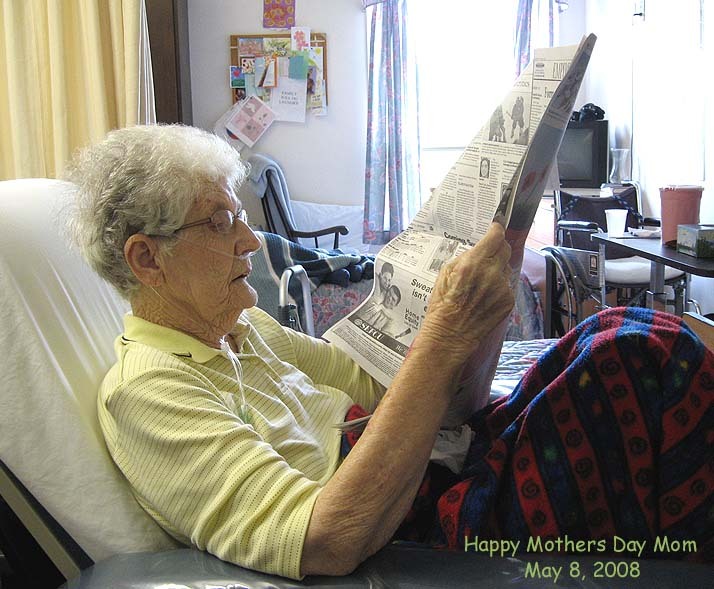 We liked mom going on with her life….. They were able to take great cruises and trips. Most of us went to Nova Scotia on the Triumph in 1999, paid for by our Mom. We will not forget that gift. • for many years mom and dad put together a booth for the St. Catherines bazar with bamboo fishing pools, painted file transfer boxes and coke bottles that you were supposed to stand up to win stuffed animals. She spent a lot of money on our Catholic educations, always writing those checks…. • she liked to spread her money around, she was way too generous with her checks and she had excellent handwriting. Mary Mulligan Simpson was a good mother. She made sure that we all had good educations, good meals, great vacations and were shown the warmth of family. She made sure that our Christmas’s were excellent. Presents filled up our living room and we always got way too much. Over the past few years we all pitched in to help mom stay in her house. It was hard but we all became closer to mom during this time. All of the 5 Simpsons helped out and we had some help from Pam who became the 6th Simpson. Pam, thanks for painting mom’s toe nails bright red last week. That was the first time she had that done and she showed her toes to everybody….. Mom loved her visits from Chris, they always played cards together and they both played to win. Jeannie tells me that when she won at cards mom would call her and gloat on it. As Jeannie said, Joanne was amazing these past few years. She was always in charge and she let you know it. She and Ed were mom’s protectors. Joanne is made of steel. All difficult things have some good in them; we found out that our family was a good strong family that did the right thing for our mom. Mary Simpson showed us what is important in life. She taught us how to pray, work hard and respect other people. We all were able to hand that down to our children. Thanks mom, we will always remember you as we get on with our lives. We will see you again down the road….